Student Government Association’s Student Publications is looking for graphic design interns every semester. Interns will be serving recognized student organizations, producing a variety of projects including, but not limited to, flyers, posters, signage, t-shirts, brochures, and digital media. A proficiency in Adobe Photoshop is required, and Adobe InDesign and Adobe Illustrator is a plus. Internship is on-site, during office hours of 7:00am to 6:00pm, Monday through Friday. Interns must create their own schedule within those parameters, so long as they do not conflict with classes. Software, PCs, and Macs are provided during office hours. Internship is volunteer or for-credit. Submission of a portfolio and a professional in-person interview is required. For more information, please contact Media Specialist Tony Nguyen at tmnguyen@fsu.edu, or visit our office at A302 Oglesby Union. Submission of a portfolio and a professional in-person interview is required. 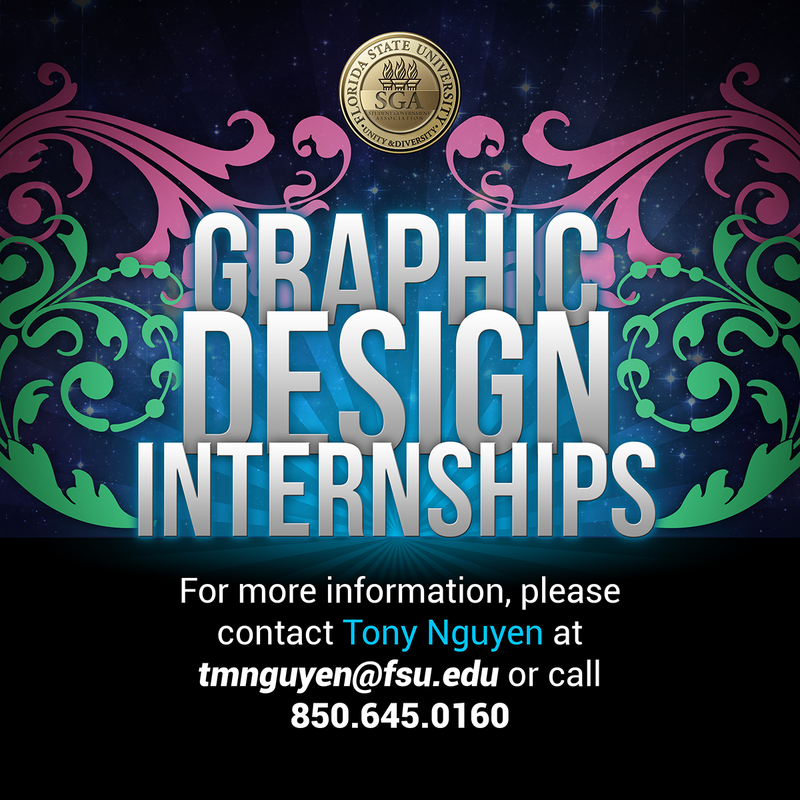 Please notify Tony Nguyen at tmnguyen@fsu.edu the semester prior to the internship.